What Are The Rules to Royal Holdem? - Casino Answers! Casino Answers » Poker » Texas Holdem » What Are The Rules to Royal Holdem? No game attracted the fish faster than Royal Hold’Em, a game launched by Ultimate Bet in 2005, and what a fun take-off of Texas Holdem; have just 20 cards in the deck, all aces, kings, queens, jacks and tens! With all of the two through nine cards eliminated, you will see some big hands every time and a ton of betting and less folding. This makes this a very aggressive game that sees some big winning hands. Other than that the same rules apply here as regular poker. There is a flop, a turn and a river. There is a big blind and small blind. There is a deal. There are just higher cards in the deck which makes for a pretty exciting game. With so few cards in the deck, you will see virtually ever player make some type of hand. If your hand is two pair, jacks and tens, you might want to fold. Royal Hold’Em is only played under a limit structure, and tables are limited to six players. All standard Texas Hold’Em Rules apply. Two cards are dealt to each player, and there’s five community cards, the flop, turn and river. Overall, this is a very fun game, and if you learn the best hands to play, you can rack up a nice profit at this game. Online Availability: Royal Hold’Em is available at Ultimate Bet. Are USA-based poker players able to play Royal Hold’em online? 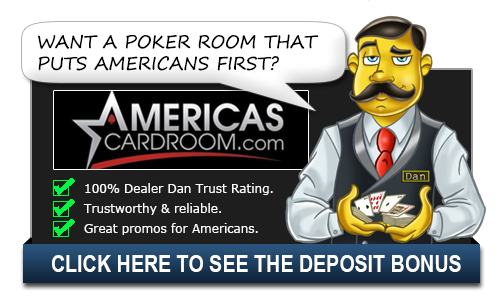 Yes, American players are welcome to play the Royal Hold’em poker game at Ultimate Bet. How do you play Royal Holdem? Royal Hold’em is a relatively new game that allows players an opportunity to play a Texas Hold’em like game that is a more action-oriented game. Each played is dealt two cards face down. These are the players’ hole cards and are played by that person alone. This is followed by a round of betting. After that, a flop is dealt with three community cards. These cards are available to all players. There is another round of betting, and then a turn card (another community card) is dealt. Another round of betting follows. Finally, a final community card, called the river, is dealt. There is a final round of betting and the winner is determined. The best five-card hand is made from the combination of hole cards and community cards. The main drawbacks is the game can only be played with six players because there are only 20 cards in the deck: four 10’s, four jacks, four queens, four kings and four aces. The hand rank is the same as Hold’em, and the flop/river/turn concept is the same as well.